This Error Message Article explains the TEKLYNX CENTRAL error message “Failed to update preview” and details how to fix the underlying problem that caused it to appear. 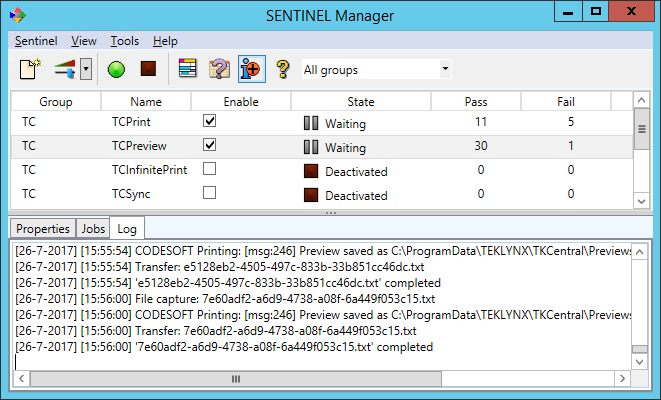 Start by checking the Print Manager (SENTINEL) to make sure the TCPreview SENTINEL is ‘Enabled’ and ‘Waiting’. Study the Log tab for that SENTINEL and troubleshoot based on feedback from the log.